Now that we know you're special, your first coupon is on its way. Know anyone else who might want special treatment? Enter their email address and your name below. Just so you know, we never share information with third parties. We’ve told ’em. Want to tell anyone else? We promise not to let them know they were your second choice. Receive your $15 off coupon right away and be notified of upcoming clinics before the general public. 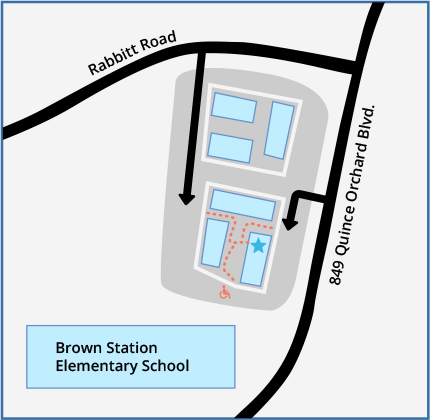 We are located directly next to Brown Station Elementary School. Be sure to park near the building marked 849. We are located inside the courtyard on the second level, suite 849-M. There are stairs located on three sides, with wheelchair access on the side facing the elementary school. You’ll see “Pearly White Pets” on our front door. We are suite 849-M.
We rotate our events throughout participating areas. Tell us where you are and we’ll notify you when we’re coming to your area. Copyright © 2019 Pearly White Pets. All rights reserved.